Looking to cross the China border like a VIP? Then you need the China e-channel! One of the biggest headaches for us as “cross border” business people, specifically those crossing the China and Hong Kong border on a regular basis, is the border! Here at Global From Asia we have an extensive guide covering Hong Kong border crossings and have met even more people in our shoes. 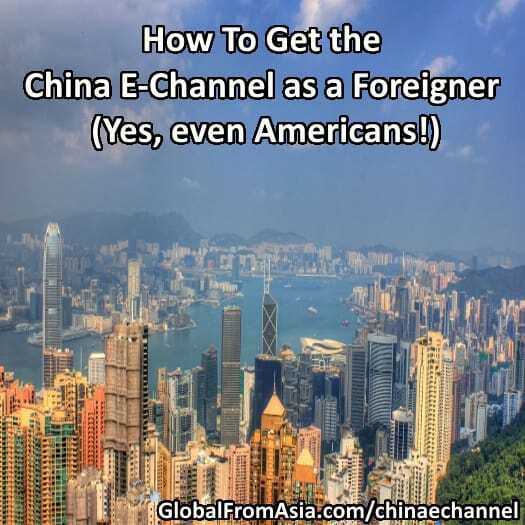 We have gotten tons of comments and emails from readers and friends to optimize this border crossing, and today we are sharing some new tips – getting the China E-Channel. Thanks to Cameron Walker who gave us the tip, as well as some others who gave hints on the comments section of our Hong Kong border crossing post. Now let’s dig into getting this puppy! Related: Looking to travel around all of Asia like a VIP? Check our guide on getting an APEC card. Related: Just want a normal visa to enter Mainland China? Here’s our free guide on getting a visa for your passport to enter Mainland China with various options. You may be in a rush (who isn’t), or with limited internet and want to have a PDF on your computer / mobile phone while you are applying for this Echannel access. Helpful to show them at the border, download yours now! First, What Is the E-Channel? For those who have crossed the border here a few times have noticed about half the border are these pods people are walking through. It’s a way to “skip” talking to a customs official and place your ID card or passport on the scanner, the door opens, and you then go inside the “pod”. In the pod they take your fingerprint and scan your face. 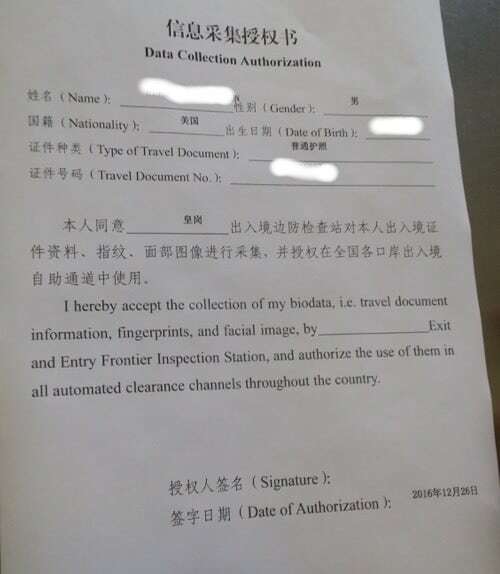 Once they see this matches you on the file, the door to enter (or leave) China is complete. No stamps, no talking to a customs official, and normally no line or a very fast moving line. There is an e-channel on each side of the border, the Hong Kong side and the Mainland China side. Today’s guide is for getting the Chinese side e-channel. So, sounds pretty slick right? A couple weeks I started hearing rumors this was open to foreigners now but no one I knew got it yet. So, being the cross border guinea pig that I seem to have become, time to test it. I travel across borders at night normally, so the first couple times I crossed it was closed. At Shenzhen Bay border, as well as at Huanggang border, they told me the hours to apply are between 8am and 6pm. And don’t get there at 5:45pm either, they wouldn’t let me apply when I arrived at that time because they said each application takes 10 minutes and there is a queue ahead of me already. So you apply at the border, on the China side. At Shenzhen Bay it is on the departure side (Leaving China) floor, which is floor 2. BEFORE you leave China, inside of the building. I would put photos here, but they don’t allow photos or videos (or even phone calls) inside the customs building. But you’re looking for an application office for the e-channel. They have decent signs, and if you ask a customs official before going into the line, they will point you to it. Once I was at the application area, don’t expect to speak English to them! I practiced my Chinese – and couldn’t make a call to Wendy to translate for me – as they don’t allow phone calls inside. So either bring a Chinese translator / friend, or have decent Chinese skills to get by. When I said I wanted to apply – it seems like this really is a new policy, as they kind of all looked at me like it wasn’t possible. But I insisted a bit and after talking to a few people there they did say foreigners can now apply (this is August 2016, and the policy must have just come out). New passports have chips inside, you can’t see them, but they are in the cover of the passport. My USA passport has it, and at first they couldn’t feel it, but later found it. Have a longer term visa. This is something I’ll have to ask my friends on business visas – but I have a residence permit. Mine is renewing in 4 months, so they deemed that enough time for me to apply. If you try to get it with a business visa and it works (or doesn’t), please let me know so I can update this post. It worked for me with a US passport. But there were others there applying who weren’t allowed to go through the process because of their passports. I tried to sneak a peek at their passport but couldn’t see. Once they confirm that, they let me into the application room. In our experience this should work. Once I was allowed to apply, I went into the room. About 5 stations with a chair, a camera, fingerprint pad, and a customs official. I sat down and gave them my passport. I thought I would also need to show them my work permit but they didn’t need it. After filling out some information for me, they printed out a form. I just had to sign it – no need to enter any data (it was already there). Once signing the paper, they took my photo. Then I had to get both my right and left thumb scanned in. It was pretty fast, and then they said I was all set. They said tomorrow it would be updated. Ok, so here’s where I got confused. I believe I understand Chinese enough – they said tomorrow I can come back and it’s OK.
Wouldn’t I get a card? 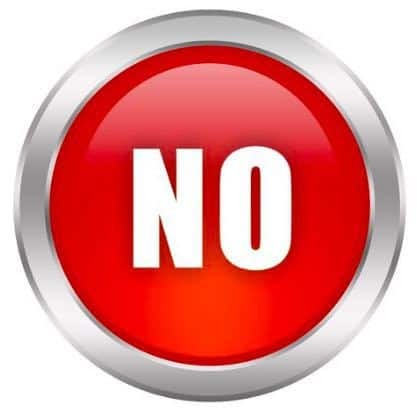 Nope, you will not get any kind of card or receipt or slip of paper. It’s on your passport now. So they showed me how to use it (after a lot of broken Chinese language efforts talking to them). 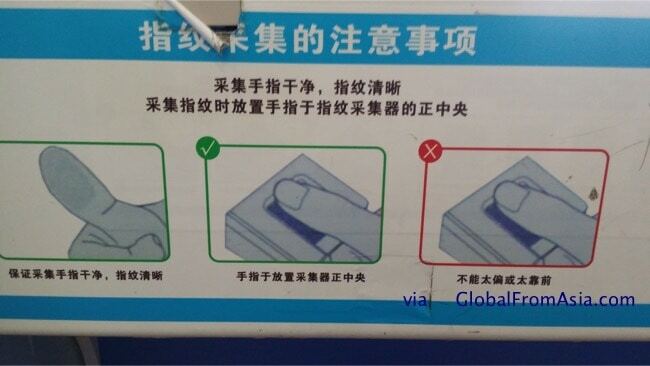 Simply go to the China e-channel to an open teller machine. Scan your passport – placing the photo page on the scanner. Then the door will open and you walk in. After you’re inside, use your thumbs to scan in, and then it will take your photo / scan your face. Once the process is done, the door exiting (or entering) China will open and you are in. Viola! You are now in the VIP express lane to enter and exit Mainland China. Yes, I have used the e-channel. Though only one time since blogging this (as I wanted to get you this information as soon as possible). But I am sure it will keep working (of course unless some policy changes). Did e-channel cost any money? No, free! As far as writing this post, anyway. (clarification on the question) Meaning form you entered Shenzhen Bay port to when you left–and were you able to go into the Shenzhen Bay customs apply then go back into Shenzhen or did you have to cross the border into Hong Kong then come back? Answer: I applied while I was already in China. I didn’t exit China (as I didn’t have a need to go to Hong Kong). They told me it would take 1 day (I applied on a Saturday, they said Sunday it would work). You don’t need a card / don’t need to go back to that station, it will just automatically work at the e-channel line terminal when you go there next. This was hard for me to believe, and that is why the customs official had to take me there myself the first time and show me! If you’re on a tourist visa then you will not be able to get the eChannel. You need a work permit. Tax regime? If you’re on a tourist visa in China, you should not be earning any income here, so you should be filing taxes where you are a resident. Something I have just learned – when you renew your Chinese visa, your e-channel is deactivated. Not exactly sure the reasoning, but when I got my US passport back with another 1 year residence visa, I took my trip over to Hong Kong. Excited to skip lines in the foreigner area, I went to the e-channel. Scanning my passport, it popped up an error. Maybe the kiosk isn’t working, hopped over to another “pod”. Still got the same error. Called over a customs official and he was confused as well. A few Hong Kong travelers tried to explain to me e-channel isn’t for foreigners and I need to go to the foreigner line. Trying to explain myself to them that it has worked for me for months, I finally realized it must be something to do with getting a new visa. I talked to the official and she said yes, now that I have a new visa, I need to update my e-channel. It was late at night, so the e-channel office was closed (closes at 6pm) – so I had to go to the APEC line (APEC rocks – here’s how to get yours). So I just went during business hours to the e-channel registry – and yes, if you get a new China visa, you need to re-apply to the e-channel. It is like I didn’t have it – I told them I already had it before, but I needed to take a new photo, new fingerprints, and wait another business day for it to activate – same as if I applied for the first time. I have had friends nickname it as such. A China e-channel is for foreigners in China who have “been here a while” and have the proper documentation to work and reside in Mainland China. Maybe we can start this trend “China foreigner” as there are more and more people (myself included) calling China their long term home. So this is a perk for those of us who have filed the proper long term documentation to remain in China. So what makes this blog much more helpful to me (and others) is your comments below. Please let us know if this process worked for you. I did this at the end of August 2016 and who knows what will change with the policy. I’d love to know what passports you have, and what visas you have to get it (or get rejected) so that we can all figure out the rules and make life crossing this border more effective and helpful. If you want to read some other popular border crossing guides, as mentioned earlier in the post, we have the Hong Kong border crossing post as well as the APEC card application process. To your success in international business, and border crossing! Unfortunately you need a work permit to get issued a China side eChannel. I’m in Sean Weisbrot’s Wechat group for Expats in Shenzhen – and today (Sept 5, 2017) he filed for China eChannel for the first time. He reported he did it at the Futian Checkpoint – even though most in his group said to do it from Huanggang border. He said it was a short line, a photo, fingerprints – and tomorrow (they said in 24 hours) he will be good to go. Seems that border is OK – but also because he did it in the middle of the afternoon and not during rush hour full of commuters. thanks Sean! We are collecting great emails and feedback from readers – please keep them coming! Is a China eChannel Worth The Trouble? We want to hear what you think! Fill out the poll below and also see what others are saying! 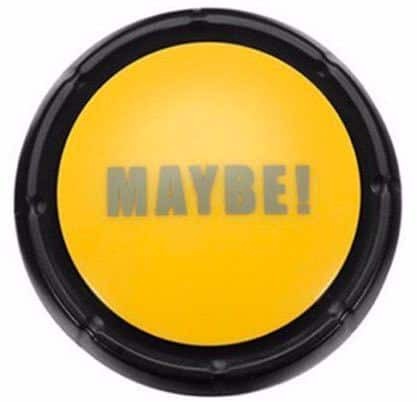 Do You Think a China eChannel Is Worth It? For the cost or time to process it, is it worth doing? However, I would be interested to see if anyone has first hand experiences of trying to apply with a multiple entry business or tourist visa. thanks for the info – I think it was a bit earlier than Aug 26 – my friend sent me a Wechat about it on Aug 18 and said it was effective then. I applied on Saturday Aug 20th – though most of the staff didn’t even seem to know about it. Glad you got the e-channel – thanks for the tip! Its true with the camera I am ducking my head down each time to get the camera to see my full face – think they need to make a “laowai” camera lane lol. Now that so many of us will be getting it. As of today, 2016 October 16th, the system at Huanggang checkpoint can’t read most of the French passports so applications can’t go through. They told me to “come back later…” after they upgrade their system. They couldn’t tell me when they will upgrade the system. The officer told me that actually only a very limited number of French passports can be processed. Would be nice to get feedbacks from fellow French passport holders to know when the situation improves. Hi! I just applied at Beijing airport with a French passport. Very smooth process, no issue. Me an U.S. Passport holder with 10yrs China tourist visa till 2026 ,I got denied because I don’t live or work in China. I do work for an big U.S. airlines and show my work badge id still denied. ya, seems it needs to be for those working in China. 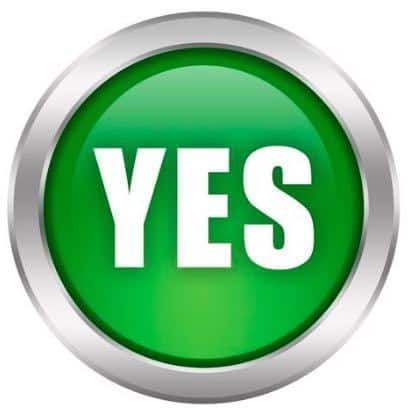 Yes, . just had the same issue myself today. You can have a multiple entry business visa, but unless you have the blue permanent resident visa, you can still not get e-channel. I just tried over the weekend at Shenzhen Bay. I have a 10 year Business visa with 60 day stays in a USA passport. The worker said that I needed something like a “long term residence” permit in China. It seems that this e-channel is only meant to target foreigners living in China, not those of us who travel in and out frequently. yes, its meant for those living in China – many have been complaining about this, hope they update the policy later. I’ve been using the e-channel since the launch and it’s fantastic…when it works. I’ve had 100% success when coming into the airport at both T3 and T2 in Beijing but it’s hit and miss when leaving the airport. Recently, a security agent told me that only Air China flights are registered for e-channel. This coincides with when the e-channel has worked so I believe he’s correct. Does anyone have any additional insight? Thanks in advance. I have used in in Shenzhen at a bunch of crossings with no issues. But when I have traveled to Guangzhou on the train from Hong Kong and Zhongshan on the ferry from Hong Kong, both times it didn’t work. Seems that mine at least is only local to Shenzhen crossings. Another note (yet to be verified) my friend who is a US citizen and passport holder with right to abode in Hong Kong has registered using his HKID card and US passport. But the registration process is different. He still needs some entry-exit documents and a page in his passport but it’s not a Residence Permit that Q and Z visa holders can obtain. When I find out more I will post/update. wow – didn’t know about the HKID US passport combination – keep me posted thanks for these amazing comments man! I am a US passport HKID holder with a 10 yr Chinese tourist visa. Do you know if I can get the echannel pass from mainland China? Greatly appreciate any information you can provide. hi Paul, thanks for sharing – I’m a US passport holder, so I’d need to get extra pages at the US consulate, right? Or these extra pages are for all passports? Its issued by the Chinese government? Is it actually “tied” to your passport? Can you tell us where the pages came from? From the China customs? I am a HK resident too. Hong Kong is not part of China where HK ID is concerned! I don’t believe US issues extra passport pages anymore from what I have heard. Hi Charlie – Yes, you can ask at the central information counter to the left of passport control for Foreigners. All you need is a relatively long term visa and a HKID. Good luck!! I have not changed my passport, but just renewed the Z visa. Headed for Futian Border E channel registration.. It was super simple, all they did was scanning my passport and officer updated my new visa details into system. No need for fingerprints or pictures re-taken. And they told me I am good to use e channel after 5 minutes. Is the e-channel registry on Saturdays? Just renewed my Residency Permit, but was too late to re-register just now (Friday) but it still worked. Want to go tomorrow (Saturday) to re-register to ensure that it is usable on Monday when I go to work. Thanks in advance for your help. nice to know, thanks buddy! My old Residency Permit (RP) expires on 7th September in under a month’s time and I now have a new one for 1 year. Just went to renew my e-channel registration. It appears that if you re-register your e-channel registration before your old RP expires, they just extend it without going through the entire registration process with fingerprints etc. Again. Just crossed the border to HK and tried to apply for e-channel but could not as I don’t have a Mainland China resident visa, “just” the HK one (not permanent residency, though). Anyway … it was 8pm and the e-channel application office at the Louhu Checkpoint is still open and does not look as if it would close anytime soon. The office is to the right before the customs booths on the “Manual” “Foreigner” floor. Just found this info… great stuff! One question I haven’t seen asked – what about families? I’m here with my wife and three kids. Can we all take advantage of the e-channel? Just tried this with a US passport, their systems couldn’t read the chip in my passport. Lady said some people’s passports just don’t work. Going till a different port to try because i go back and forth often and it just wastes pages in the passport. @linroy, yes it works at airport arrivals as well. All you need is China resident visa, not a tourist one, and e-passport ( passport with a chip inside the cover). Yes , I was wondering the same, especially since I use my passport stamps as proof of travel for reimbursement for our company travel. Boarding passes or e-tickets are not allowed for submission. As a “fresh” expat in china, super helpful. Thank you! 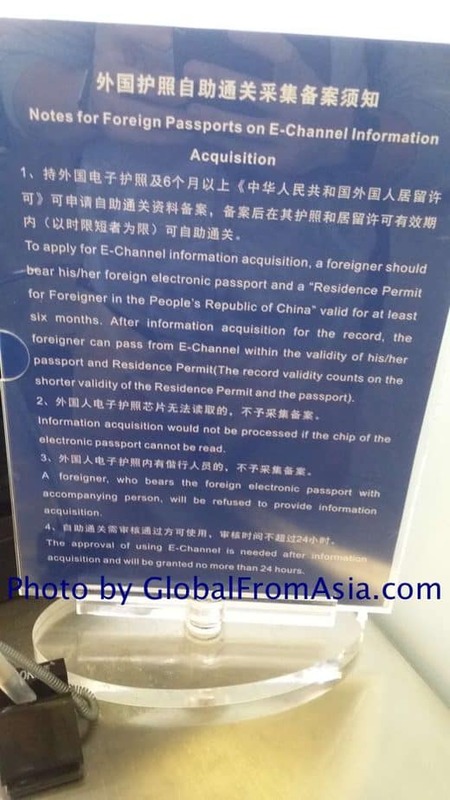 Two questions: will e-channel registration from Shenzhen crossing work in airports too? Do you know if Guangzhou airport have registartion for e-channel? Thanks! Went through the e channel Shenzhen Bay immigration yesterday. The automatic door opened after scanning my passport letting me in. But then would not open to let me out. Customs officer told me that I had to go through a newer model of gate. So I went back and the officer led me to what seemed a different model with a bigger scanning window. So it seems that there are two types of e channel gates. Foreigners et channel works with newer version. Hi – I was wondering where to get a receipt or proof of arrival from E-Channel to replace the passport stamp . I need this for work. Emails. E-tickets and boarding passes not accepted. Also, I need to know if I can hopefully do this after I have left the airport. Its been a few weeks… ;( Any ideas? Maybe someone can help me… I successfully applied for e channel at Luohu- thanks for all the advice here! But my question is, how do I cross the border with e channel? I looked to do so at Luohu & getting off the high speed rail at West Kowloon- I didn’t see an area for foreigners to exit/ enter the mainland with e channel. Do I need to follow signs for Chinese residents rather than foreigners? Nevermind, figured it out at W Kowloon this week- for anyone else unsure, just follow signs for echannel, not foreigners (at Luohu, these are on different floors) – security still tried to guide me to the foreigner area and seemed surprised when echannel worked for me, so just do your best to explain that you registered and it shouldn’t be a problem. i got echanel in hong kong and i got refused to enter hk am i still allowed to use my echanel again? Will it still be working? Need answer please? There’s 2 separate e-Channel programs; one for Hong Kong & the other for the Mainland. Registering for one doesn’t automatically register you for the other. You still need to apply to the mainland’s eChannel.